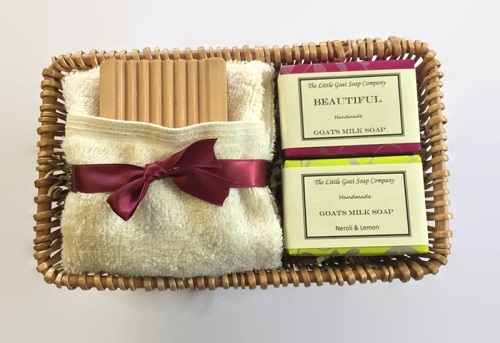 2 Soaps of your choice along with a 100% 600gsm Egyptian Cotton Facecloth and a Wooden Groovy Soap Dish to make our gorgeous soaps last even longer. All beautifully presented in a High Quality Wicker Basket. Be the first to review “2 Soap Gift Basket with Wooden Soap Rack” Click here to cancel reply.